The city of London has been shaken by heinous crimes, and Scotland Yard is groping in the dark. 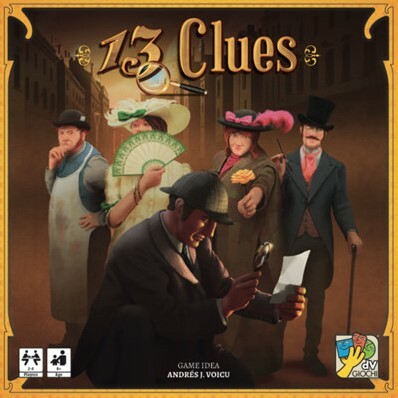 13 Clues, set at the end of the 19th century, puts players in the shoes of the detectives, each trying to solve their own mystery. Each player sees the clues — person + location + weapon — for the other players but not their own. They investigate by asking questions, by consulting the secret informant, and by making accusations in order to collect clues and rule out suspects. The goal of the game is to identify which of the 13 clues match their case before the others do!